Their Majesties King Philippe and Queen Mathilde of Belgium Host a Reception. 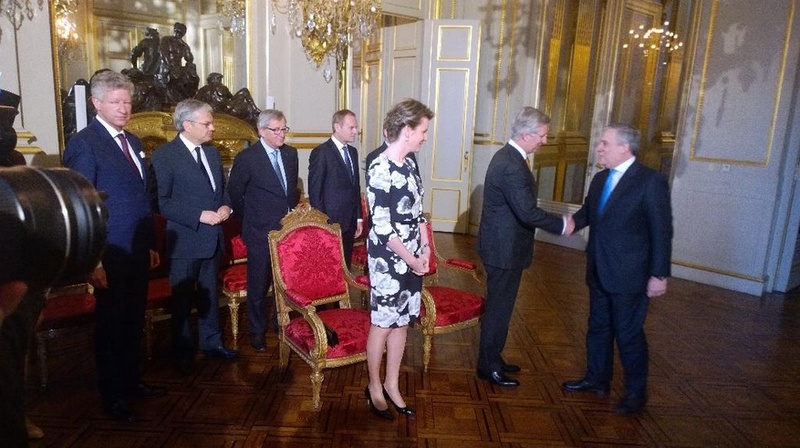 On Tuesday, January 20, 2015, Their Majesties King Philippe and Queen Mathilde of Belgium hosted a reception at the Palais de Bruxelles for members various European institutions. Previous (VIDEO) Their Imperial Highnesses Crown Prince Naruhito and Crown Princess Masako of Japan Visit the Yamatane Museum of Art. Next His Majesty King Felipe VI of Spain Holds Audiences.